There are 24, 1-hour games in a row. 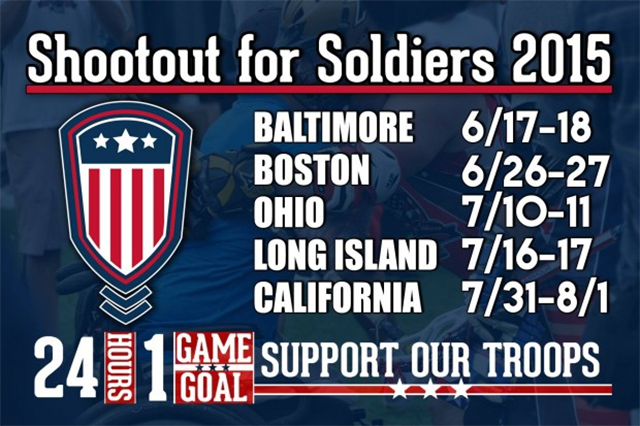 Each team plays for an hour, and is a member of either Stars or Stripes – we inform you of whether you’re Stars or Stripes, as well as your time slot, a few weeks before the event. The score is cumulative – last year Stars topped Stripes 214-210 in Long Island. A wide variety of activities go on at the event as well, so we encourage folks of all ages to come out and attend! Army Ranger Lead The Way Fund is proud to be one of the non-profit partners for this event that helps fund our Ranger Assistance Programs for the men and families of the 75th Ranger Regiment.